College dorm rooms will simply not provide all the light that you need in a dorm room. You will have your overhead light and if you're lucky your college will provide you with a desk lamp. However, the light from those lamps will not be enough and you may find that there are dark corners of your dorm room that need more light for studying, reading a book or just plain seeing. The best dorm lamps for college are compact and will also add to your dorm room decor. After all, your dorm room is pretty small and all the dorm essentials you get should also add to your college room decor- there isn't extra room for non functional dorm items. 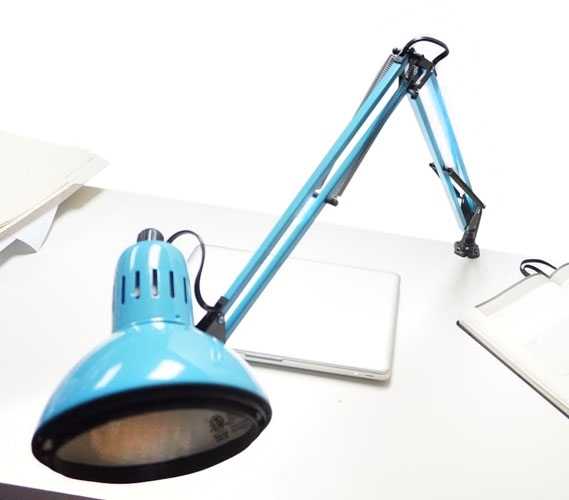 Our Adjusting College Clip Lamp in Aqua is a perfect addition to dorm room decor that is also functional. After all, you don't want a dorm lamp that isn't functional! 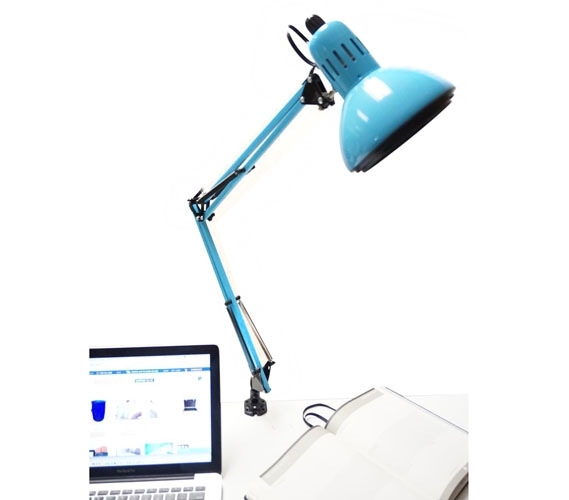 This college lamp is in a bright aqua color that will add a pop of color to your dorm room decor and it won't take up too much room on your dorm desk as it clips on the side of your college desk! 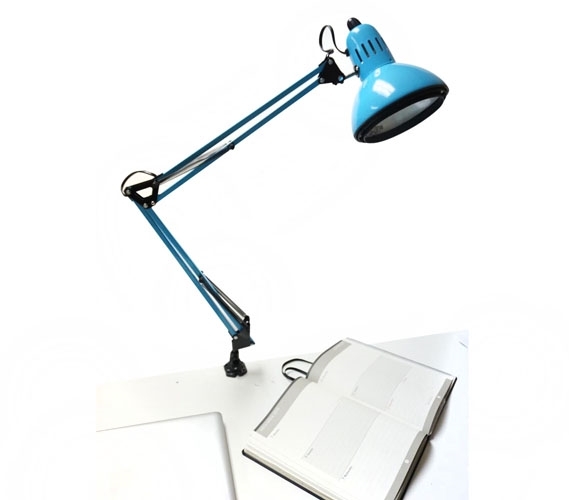 You can even clip it onto a ledge of your dorm nightstand if you need extra light by your dorm bed to study! 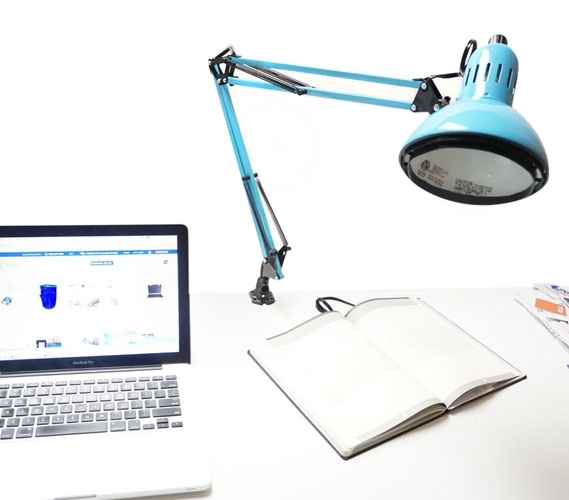 The neck and head of the dorm lamp is also completely adjustable so that you can point the light exactly where you need it instead of moving your college textbooks to where the light is. Don't head to college without extra dorm lighting for your college room- there may be times when your roommate wants to sleep and you need to study. 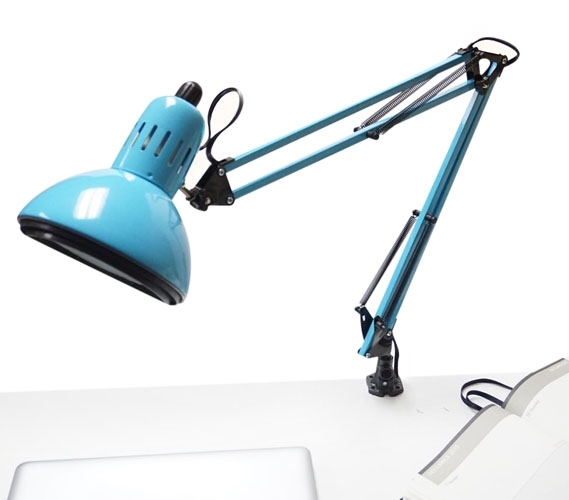 With a small, adjustable college lamp you will still be able to study without disturbing your roommate!